What mobile / Which Mobile? If Samsung Galaxy J8 2018 specs are not as per your requirements? Find your desired mobile by selecting right features, price, specs using our advance mobile search facility. Feedback In case of any mistake in Samsung Galaxy J8 2018 prices, photos, specs, please help us using our contact us page. Disclaimer: Samsung Galaxy J8 2018 price in Pakistan is updated daily from price list provided by local shops but we cannot guarantee that the above information / price of Samsung Galaxy J8 2018 is 100% accurate (Human error is possible). For accurate rate of Samsung Galaxy J8 2018 in Pakistan visit your local shop. Is it available in market now? Sir mobile orignal hai.or ager koi masala howa to kis namber per rabta kare jo ap attend b kar sako kiyu k me ny pehly b bohat prodact magwai hai koi b bad b replce ya koi b masla ho koi nai hall karta ager ap ka b ye hi hall hai to pir order cencell kar dena. - Samsung Galaxy J8 2018 best price in Pakistan is Rs. 38100 Pakistani Rupees (PKR). - One can buy Samsung Galaxy J8 2018 pin pack from the best online stores or local shops, whichever offering cheapest price. - Always confirm mobile specs, features, warranty, shipping cost and delivery time from the seller before you pay for Samsung Galaxy J8 2018. 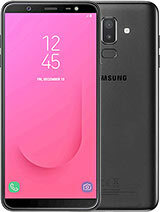 - Some online stores sell used and refurbished models as well, so check Galaxy J8 2018 details from the seller before ordering. Samsung is the leading smart phonemanufacturing company and it has released the latest smart phone, Samsung Galaxy J8 2018 in the market. This handset is dual SIM supported and it is available in gold, blue and black colors. The Galaxy J8 2018 has excellent processor of 1.8 GHz octa core Cortex A53 and it has the chipset of Qualcomm SDM450 Snapdragon 450 and the GPU is Adreno 506. The smart phone runs with the display technology of Super AMOLED capacitive touch screen with the display size of 6.0 inches. The built-in storage capacity of the handset is 64 GB, which can be extended by adding microSD card up to 256 GB. You can make quality pictures with its main camera of 16 MP and the selfie camera is 16 MP. It is provided with the features of geo-tagging, HDR, white balance setting, digital zone, selfie timer, touch focus and more. The Samsung Galaxy J8 Price is set as 40,000/- rupees and it is powered by the non removable 3500 mAh battery.